Chances are you’ve experienced a few wardrobe malfunctions on occasion―from the errant red sock that found its way into (and left its mark on) a load of whites to the wool sweater that came out of the washer small enough to fit a Bratz doll. You learned from these gaffes and moved on. Still, despite your years and years (and loads and loads) of experience, laundry can present vexing questions. Does a silk shirt absolutely require dry cleaning? Should lingerie always be hand washed? This compendium will help you sort through the frustrations―and, of course, your darks and your whites. Unfasten all buttons, including the tiny ones at the collar, before laundering. Otherwise, the agitation in the machine and the weight of other garments may cause buttonholes to tear. It’s a good idea to pretreat collars every time you wash them. “Once stains from body oils build up, they are very difficult to remove,” says Chris Allsbrooks, a textile analyst at the Drycleaning & Laundry Institute, in Laurel, Maryland. Use a stain remover (see Essential Laundry Products), or spot-clean with a mixture of water and liquid detergent. Pour it over the area, then rub with a soft toothbrush. It’s especially important to spot-clean permanent-press shirts and other items that have been treated with resins so they retain their shape, because these fabrics tend to hold soiling. 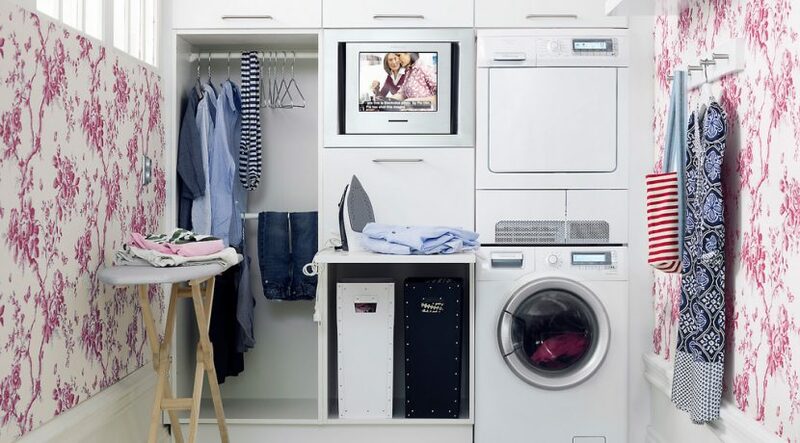 Wash permanent-press shirts with all-purpose detergent on the permanent-press setting, which is gentler than the regular one, uses warm or hot water, and has a long cool-down rinse to further minimize wrinkling. 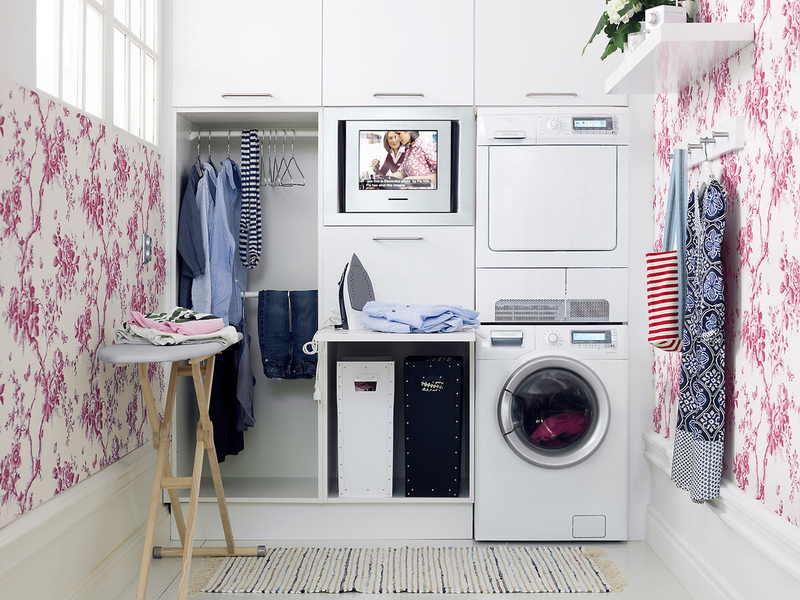 Opt for the dryer’s permanent-press feature, which has a cool-down period at the end. Wash non-permanent-press shirts on the regular cycle in cold or warm water. Wash knit hats and gloves like sweaters. Spot-clean structured hats, like newsboy and baseball caps, which could become misshapen. You can hand wash gloves with small sections of leather if the leather is the same color as the knit; otherwise bleeding may be a problem. To dry, insert the handle of a wooden spoon in one finger and set the spoon end in a vase. This will help the glove retain its shape. You can wash down coats in front-loading machines with a mild powder detergent and warm water on the gentle cycle. (If you have a top-loader, take these coats to a dry cleaner; most top-loaders have agitators that can compress and displace down filling and prevent pieces from tumbling freely.) Smaller items, like children’s jackets, whether filled with down or polyester, can go in a front- or top-loader on the gentle cycle; tumble dry on low. Put a few clean, dry towels in the dryer to help soak up excess moisture and speed drying. Many knits made of cotton, synthetics, or blends can be machine-washed in cold or warm water on the gentle cycle with all-purpose or mild detergent. To combat wrinkles and stiffness, dry items on low for 5 to 10 minutes before laying them flat on a mesh sweater rack ($9, organizeit.com) or a towel. Place a wool, cashmere, or fine cotton sweater in a zippered pillowcase; wash on the delicate cycle with cold water and lay flat to dry. Delicate knits, like crochet and silk, are a different story: Dry-clean these, or test for colorfastness (dip a cotton swab in detergent and hold it on an inconspicuous area for two minutes to see if the color bleeds) and hand wash in cold water with mild detergent. Some knits may stretch out; reshape after washing and lay flat to dry. Most denim is top-dyed, meaning only the surface of the fibers is colored. To keep jeans from fading or acquiring white streaks, wash in small loads in cold water (with more water than clothes) with all-purpose detergent. This cuts down on abrasion, says Allsbrooks. “It’s common for jeans to shrink in length” when washed, says Steve Boorstein, author of The Clothing Doctor’s 99 Secrets to Clothing Care (Boutique, $20, amazon.com). Hold them by the waistband and legs and gently stretch them vertically before drying. Dry on low or medium heat; overdrying causes unnecessary wear and tear, so take jeans out when the legs are done but the seams and the waistband are slightly damp. Because it is worn so often and loses elasticity over time, a bra generally lasts no longer than two years. But proper laundering can help ensure that bras and other intimates age gracefully. So how delicate do you need to be with delicates? Perhaps not as delicate as you think. Most lingerie can be put through the machine’s gentle cycle, even if the labels say “hand wash.” Use all-purpose detergent with cotton and synthetics; opt for mild detergent with lacy fabrics. Pretreat yellow perspiration stains by rubbing them with mild soap and warm water; let soak for 30 minutes. Protect hosiery, bras, bustiers, camisoles, slips, and any other garments with straps or underwires by placing them in zippered mesh bags, which will keep them from twisting or snagging; fasten clasps to prevent them from catching on the netting. Use a bag with fine mesh so hooks can’t get through, says Steve Boorstein, author of The Clothing Doctor’s 99 Secrets to Clothing Care (Boutique, $5, amazon.com); try the Woolite Fine Washables bag ($4, containerstore.com). Wash undergarments in light loads, and never throw them in with heavy items, as these can cause wires to bend or break, says Chris Allsbrooks, a textile analyst at the Drycleaning & Laundry Institute, in Laurel, Maryland. Or use a handy contraption like the BraBall ($25, braballs.com), a plastic sphere that holds up to three bras and can be tossed in the washer. Air-dry to prevent damage to underwires and straps; invest in a drying rack like the Compact Accordion dryer by Polder ($20, bedbathandbeyond.com). Hand washing is often the best way to care for ornate pieces and those made of delicate fabrics, like silk. Try Woolite fabric wash (from $4 for 16 ounces, walmart.com) or the Laundress Delicate Wash ($19 for 16 ounces, containerstore.com). Let the pieces soak for a few minutes in warm or cool water, then gently squeeze the suds through the fabric; rinse and roll in a towel to absorb excess moisture before hanging them to dry. Bras, nightgowns, and the like are not apt to be heavily soiled, so “hand washing gets them cleaner than you might think,” says Allsbrooks. Her advice: Clean lingerie while you’re in the shower. Get the article wet, lather a pea-size amount of mild shampoo or baby shampoo in your hands and wash, as suggested, then air-dry. The skin of an infant is often too sensitive for the chemicals in many detergents and bleaches, so textile analyst Chris Allsbrooks advises introducing these products gradually. She followed this timeline with her son: For the first six months, she used Dreft, a very mild detergent formulated for babies (from $9.50 for 100 ounces). When he started eating solid foods, she moved on to Ultra Cheer Free & Gentle ($6 for 100 ounces), which is “a little stronger and better at getting out stains from pureed spinach,” she says. Once he was eating regular food, it was “straight on to the Tide.” Wash with warm water and tumble dry on low. “Using the lowest heat setting will minimize static electricity, lessening the need for dryer sheets,” says Sandra Phillips, a cleaning consultant and the author of A Clean Break (Live-Right Books, $10, amazon.com). To ensure thorough cleaning, wash underwear in light loads. Use the gentle cycle with warm water and all-purpose detergent, unless the label specifies “mild.” Tumble dry items that contain spandex on low or air-dry them to prevent shrinking. Hand wash delicate items, as with fine bras and lingerie. Rinse them well when you get home from the pool or the beach to remove chlorine or salt water, which can cause fading or changes in color; chlorine can also damage elasticity. Launder by hand or in the machine, as with everyday bras and lingerie. Air-dry. In most cases, wash as for underwear. If the item has underwires, use a mesh bag. Since shapewear typically contains spandex, air-dry or tumble dry on low.